Google returns with our biggest group yet! Home/1:AM Production, Classes, Community, Mural Production, Team Building Workshops/Google returns with our biggest group yet! 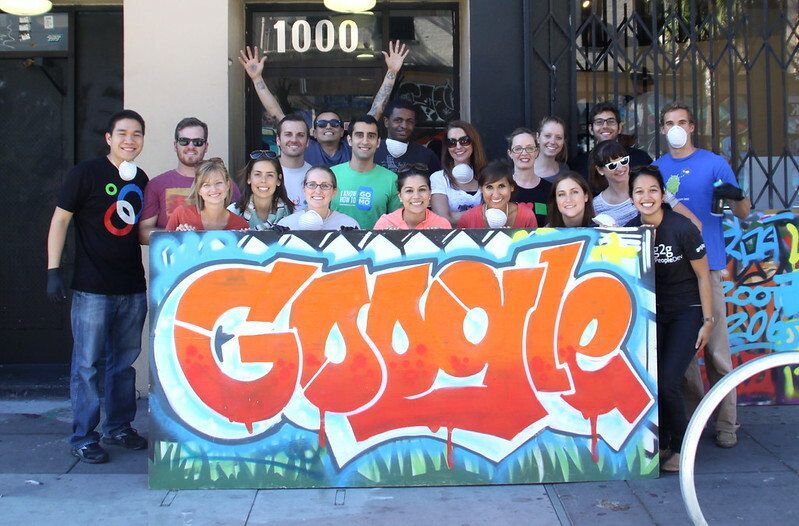 Last week, Google came by 1AM for a team outing to try their hand at sketching letter styles! 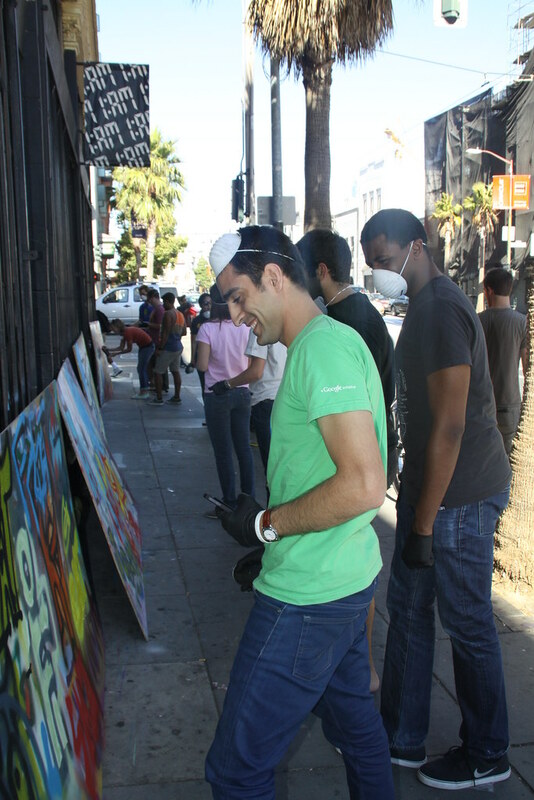 They filled up their tag wall and then jumped straight into an intensive spray painting session! We hope you guys had a blast and that you come back soon, thanks to Sosh for the feature, they sure know what’s up in SF! Interested in setting up a workshop for your team? Email maya (at) 1AMSF.com.